While many homeowners might assume that moving apartments somehow entails less work, that has been far from our experience. In cities like Chicago, there are plenty of people who prefer apartment living while lots of younger professionals might hope to own a home in the future, but currently reside in an apartment for the easier commute. When it comes to moving apartments, one of the primary difficulties is figuring out how to fit all of your belongings comfortably into your new place, especially if it’s a bit smaller than your last apartment (but has a much better view). 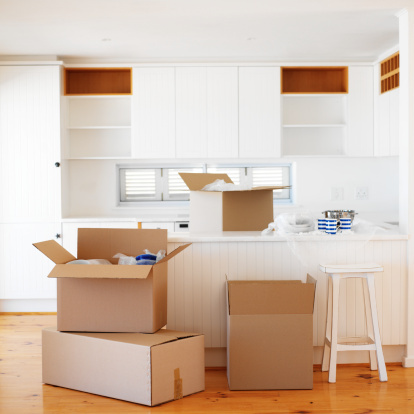 Now that you have your boxes all in order, you’ve laid a solid groundwork for the last part of your move. OK, we’re kidding; you don’t want to take a hose to your new apartment, especially if it has hardwood floors. That said, while most property managers will ensure an apartment is professionally cleaned before your move, it never hurts to give it one more clean while you can access areas of your home that will soon be occupied by beds and sofas. As we already mentioned, one of the most common obstacles many apartment moves face is adapting to a different layout, whether you’re going from a tiny two-bedroom to a sprawling railroad apartment or going down a bit in size to be closer to the office. The best way you can prepare for the big move and unpacking is by drawing up a floor plan and mapping out how you’d like to set up the apartment. That way, when you’re moving you can put the boxes and furniture in the rooms in which they belong. Bonus packing tip: You’ll likely change your layout once you get better accustomed to your new apartment so set up things in a way that will facilitate moving them around. Once you’ve finally finished moving all of your items, now comes the fun part: unpacking. As we are big fans of systemized organization around these parts, make a list of the most essential-to-unpack rooms in advance. For instance, you’ll likely need your bedroom and bathroom at least somewhat set-up, so those are always two good places to start. Also, unless you feel like living on take-out for a week, get that kitchen set up as soon as possible so you can start truly making it feel like yours with some home cooking (or more take-out). Lastly, it’s really quite easy to get distracted while unpacking. After all, you’re once again going through all of your memorable items and setting them up in a new home, with new memories to create. But don’t get lost going through all your keepsakes or other trivial matters before you’ve gotten your key rooms set up and have a functioning home. Once you do that, travel down memory lane or procrastinate however which way you like!